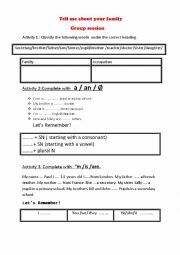 Group session activities for 7 year pupils.activity 1 and 2 are taken from this site and modified. Mid Term test N�for 1st year. 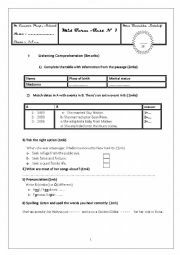 It contains listening activities about Madonna (biography) and 3 language activities .Two activities are adapted from this site.the script is provided.I hope you find it useful. 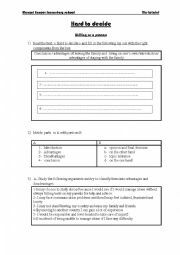 This is a very useful worksheet.It helps your pupils( if they are overage learners) write an essay about the advantages and disadvantages of studying abroad using arguments. 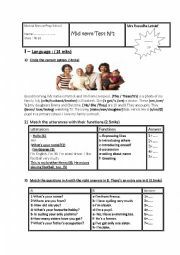 activity 1 is about classification of vocabulary under the right heading activity 2 is about indefinite articles activity 3 is about verb to be in the S present activity 4 is writing a short introduction from hints.I hope you find it helpful. 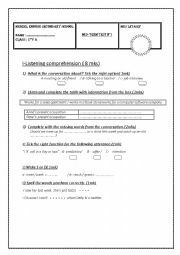 A helpful worksheet containing 3 stages: Pre, While and post-stage activities. 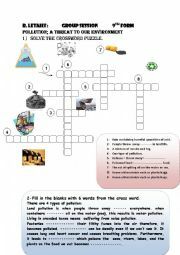 This is a cross word puzzle about environment and a fill in activity to consolidate the vocab focused on in lesson 2 Module3 9th form.I hope you like it. A reading passage about pollution with comprehension question . I hope you like it. 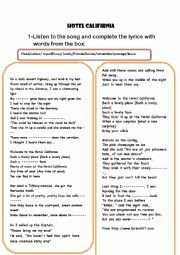 This a lesson plan for module3 LESSON4:Save the earth : pre reading:" Earth Song"while reading and post reading. I hope you like it.